In my ongoing quest to redecorate my living quarters with my husband, I came across this funny door knob concept (via Buzz Feed) from 2010. 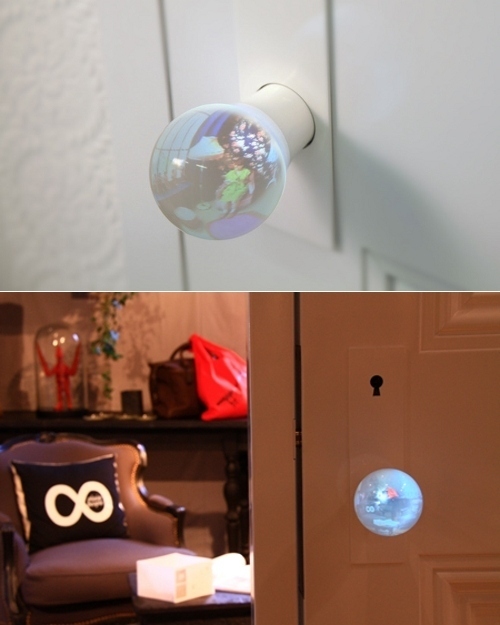 The door knob, or "A Room in the Glass Globe," looks into the room on the other side. I don't know about you, but that just seems too weird for my taste (but certainly intriguing). If you happen to be in Aoyama, Tokyo, you can check it out there at a store called Plain People. What do you think? Have you heard of this already?